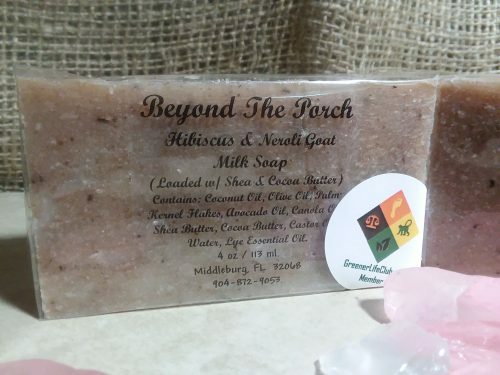 Short Product Description: Hibiscus & Neroili Goat Milk Soap Loaded w/ Shea Butter. 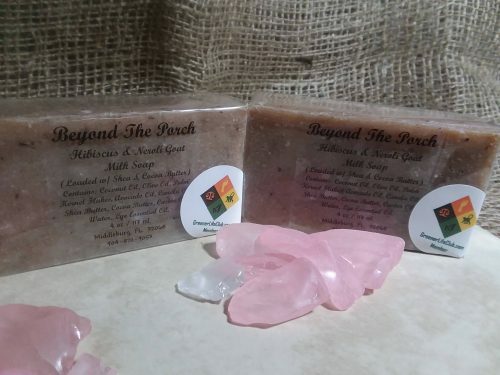 This soap is like walking though a field of wild flowers, the fragrance just wraps around you and the Shea Butter softens your skin while you dream the day away. 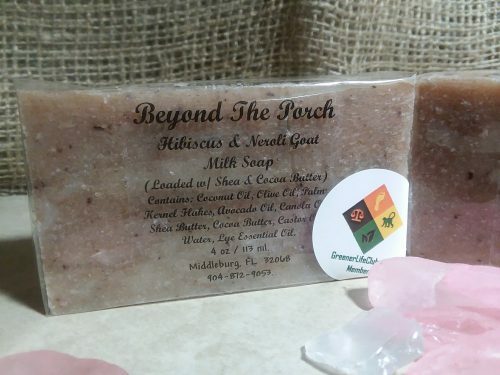 You’ll never want to leave your shower after using our Hibiscus & Neroili Goat Milk Soap Loaded w/ Shea Butter. While the fragrance carries your troubles of the day away, the butters soften your skin and the Goat Milk locks in all of that goodness. Your day just got better! Each Bar weighs 4 oz. and is 31/2 X 21/2 X 1 inch. 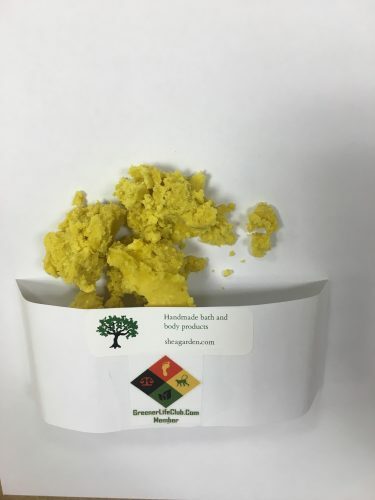 Contains real crushed and powder Hibiscus pedals we do ourselves.